Been a Big and small block Ford fan since my car ride home from the hospital as a infant. 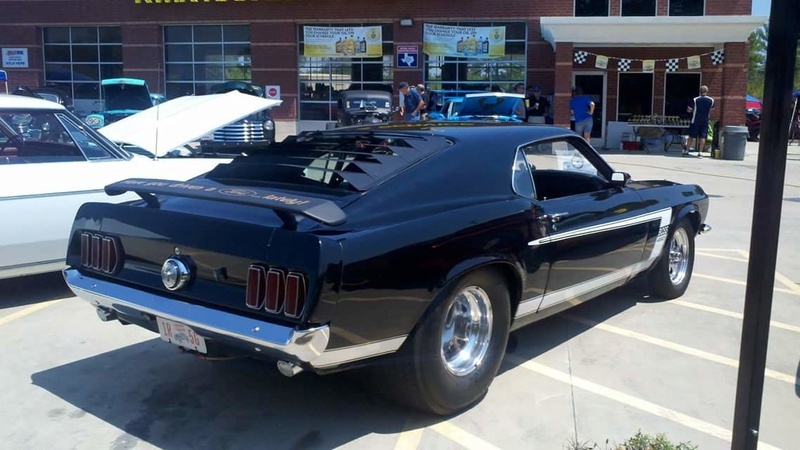 Dad had a 1969 Mustang Mach 1 R-code... he is a member here and turned me onto the site. 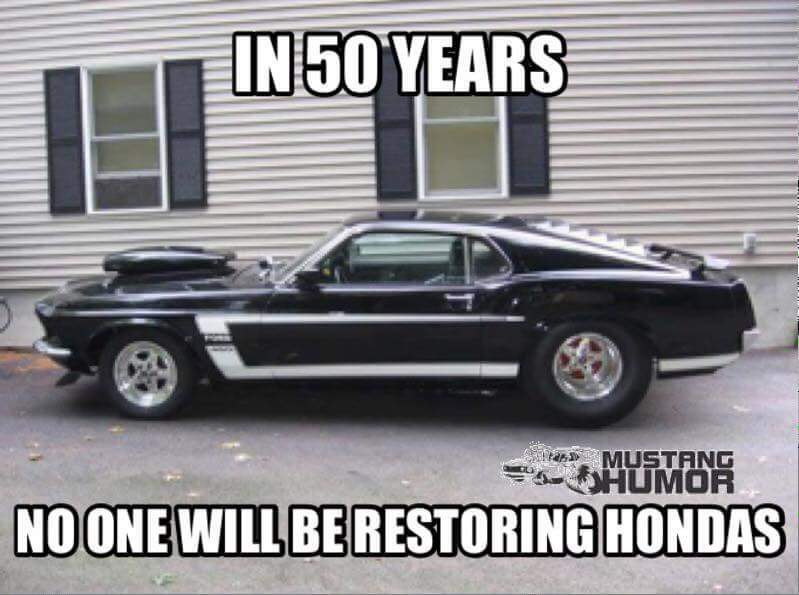 I have a 69 Mustang myself. That's badass! !...whats the combo?? Welcome to the forum!! Welcome aboard. Where abouts in Texas? 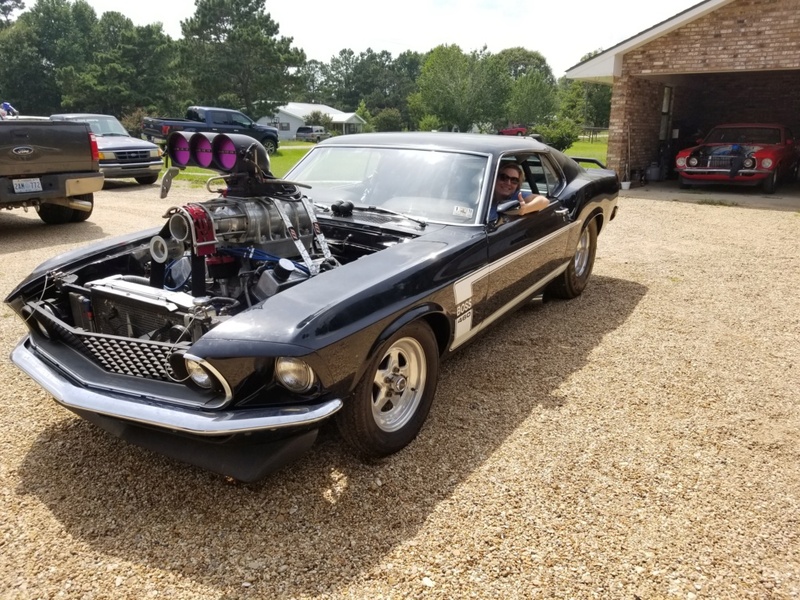 514 BBF, SCJ ported polished heads, Vortec J-trim race blower w/3" cog belt setup(want to sell the blower and go with a roots blower), c6 auto, 9inch rear, 5:88 gears. Car is backhalved after being rear ended, hence the 1970 rear quarters. Someone took a pic of my car and made a meme... 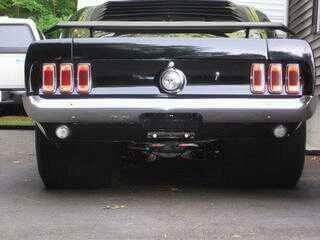 I like it..
BBFTorino wrote: That's badass! !...whats the combo?? Welcome to the forum!! 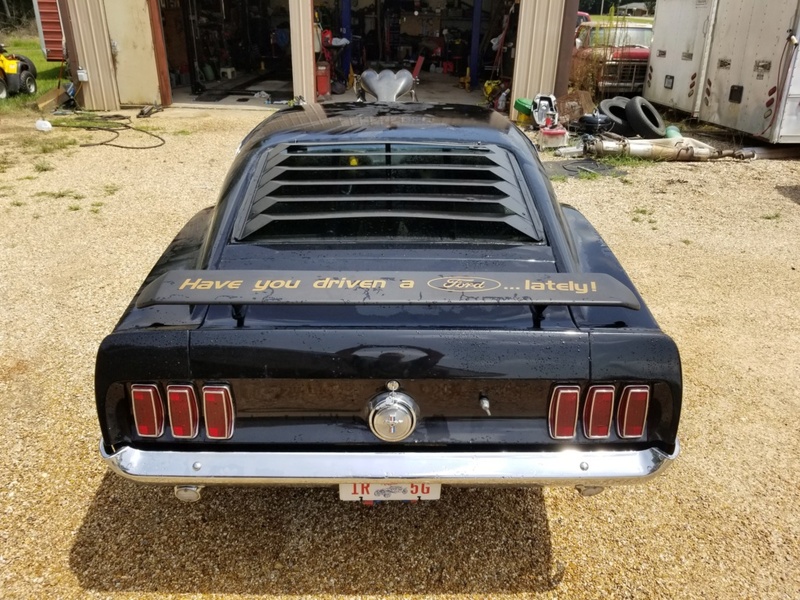 Nice ride! 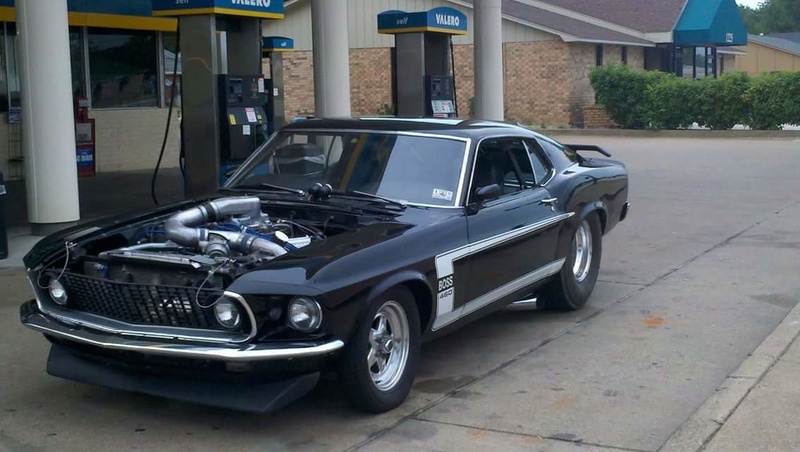 How much power does it make with the supercharger? 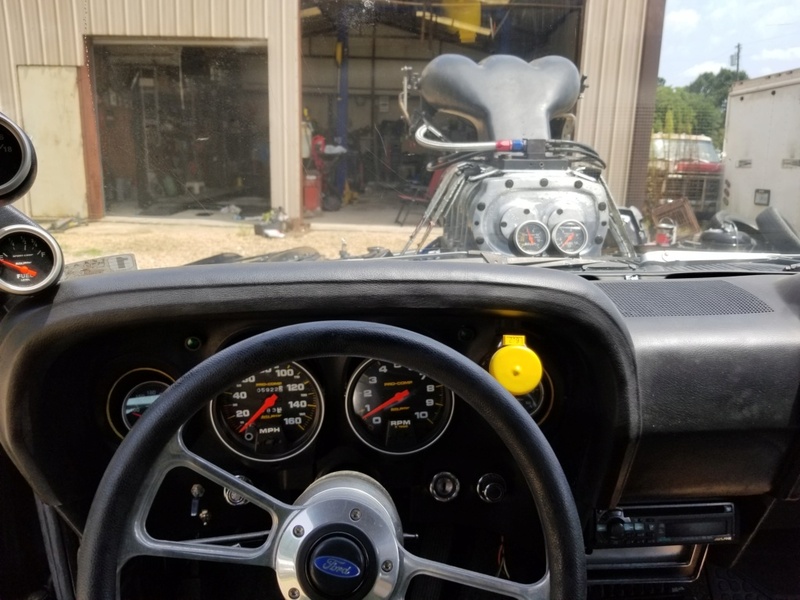 Mocked it up to see if distributor would clear(it did), and then pulled engine shortly after pics, and tore the engine all the way down. 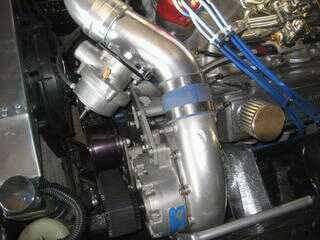 New parts to order, hopefully, it'll go back together soon.